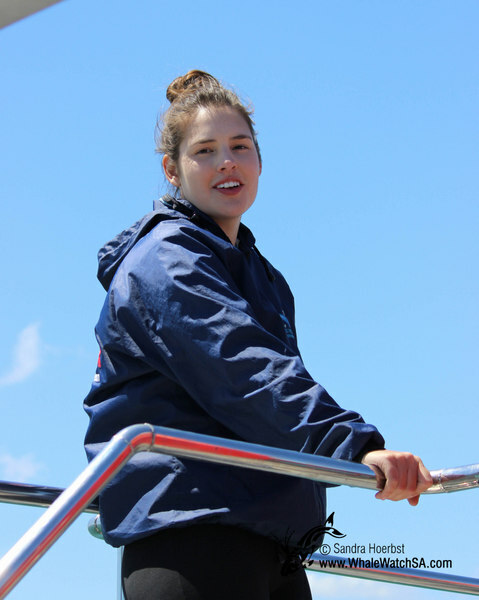 As soon as we arrived in Pearly Beach we saw some new faces. 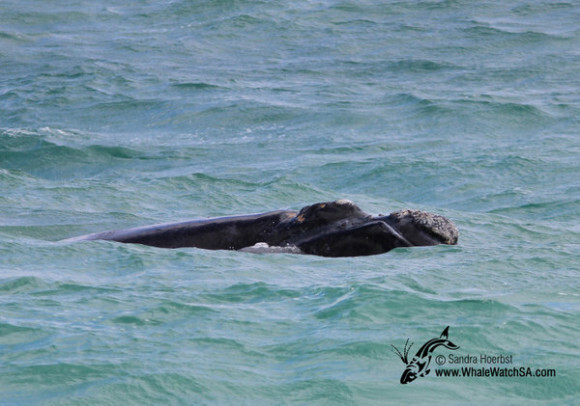 Today we had two familiar mother and calf pairs we know from the previous days as well as a new pair. The new mother had beautiful white callosities. The whales were very curious once again and approached us very closely. 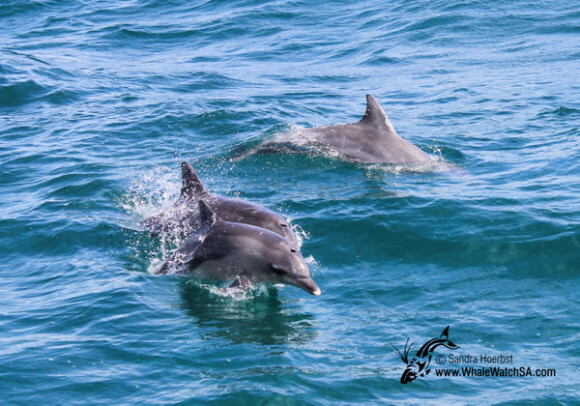 On our last trip for the day we got surprised by some Bottlenose dolphins, while heading towards our Southern Right whales. 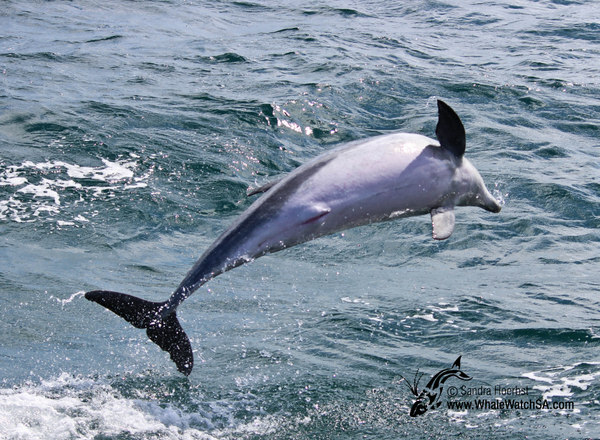 The dolphins were bow riding and jumping close to our vessel, what a joy to see that. 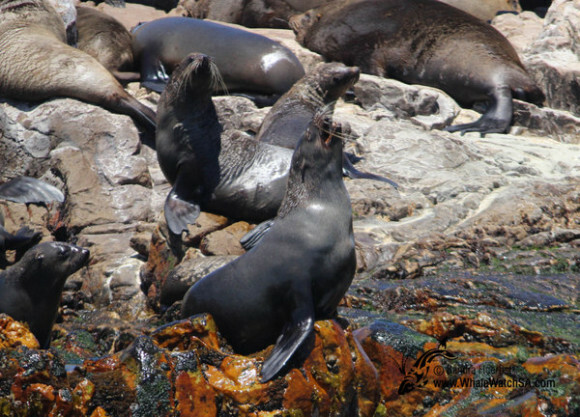 The mating season of the Cape Fur seals has already started, there are more and more big bulls on the Island. 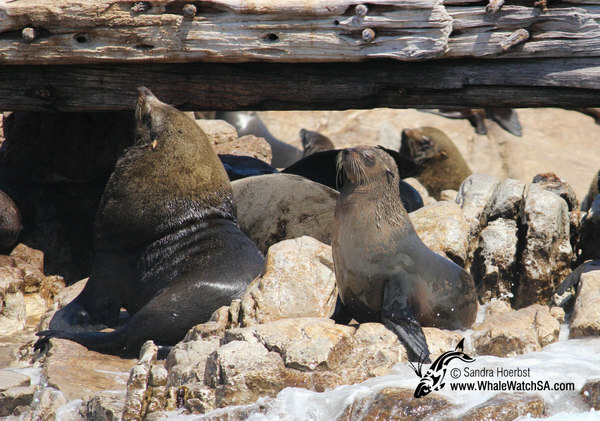 And we already spotted some new born pups today. 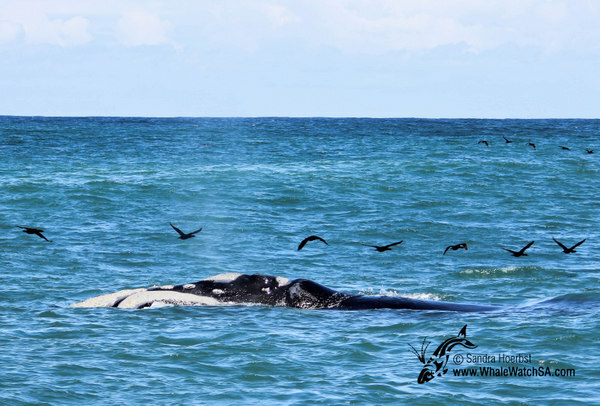 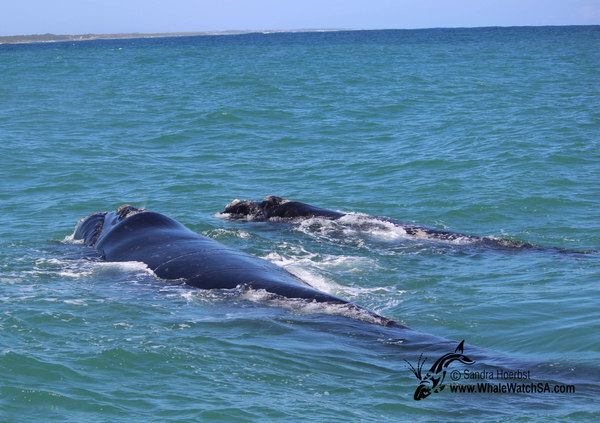 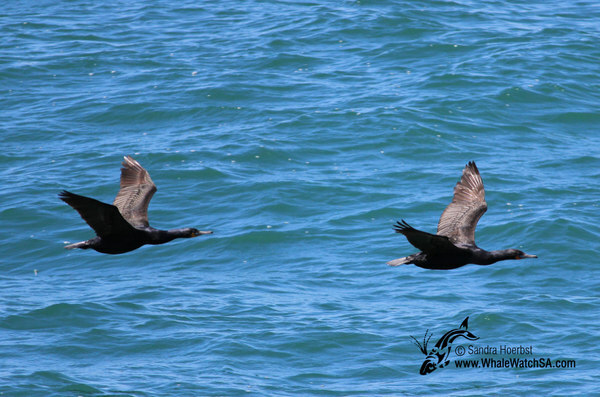 For more Whale facts and updates, also “Like” our Dyer Island Cruises Facebook fan page. 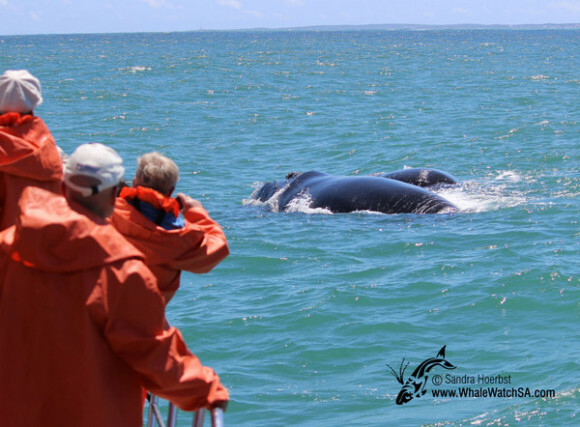 If you would like to review your trip online to help others choose the right whale watching company, please visit our TripAdvisor page and leave your feedback or follow us on Twitter for tweets from the big blue as it happens.